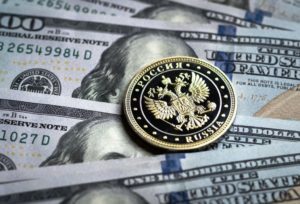 Late Wednesday night the ruble and the share market significantly increased in response to the weakening dollar after the U.S. Federal Reserve System announced a lengthy pause in the interest rate increase. The Russian currency hit the RUR 66 per dollar threshold entering the range of RUR 65 to RUR 65.5 per dollar which has been a powerful obstacle for the ruble’s further growth for months. The ruble could not beat the obstacle once again. Traders expected that the progress in the negotiations on mutual trade between the United States and China will become a new driver of the interest in risky assets. But it did not happen. There was progress but small. A vague message following the meeting did not inspire investors to fund developing markets. “Since the beginning of 2019, the Russian ruble has strengthened by 5.5% against the U.S. dollar and is now ranked second after the South African rand among the developing countries’ currencies that have demonstrated the best dynamic in the market. This is partially due to the fact that the ruble is restoring its positions after a dramatic plunge in the end of 2018 when the Russian currency was, on the contrary, among the outsiders. Therefore, this strengthening only brings back the Russian currency into the general trend of the developing countries’ currencies. Within the next one-two months the ruble will be stable and will probably reach RUR 65 per dollar and RUR 74 per euro,” Nordea Bank analysts believe. A Bank of Russia board meeting will take place Friday to discuss the rates. Most analysts think that it will remain at the same level, but the further rhetoric of the regulator might change the trading process. The ruble suffered a lot from the U.S. and Russia’s decision to pull out of the Intermediate-Range Nuclear Forces Treaty. For Russia it means a risk to get involved in an arms race, as well as new U.S sanctions, including those related to the ‘forgotten’ Skripal case and Russia’s alleged interference in the U.S. presidential election. The question is whether the States would want to use the new pretext to escalate tensions. However, the ruble is not expected to fall: due to a good current foreign market situation and the declining household income, Russia has a very good trade balance that will benefit the Russian currency.